30 Minutes on: "The Killer"
Debut of a new feature wherein Matt writes for exactly 30 minutes about a movie and then publishes whatever he's got. 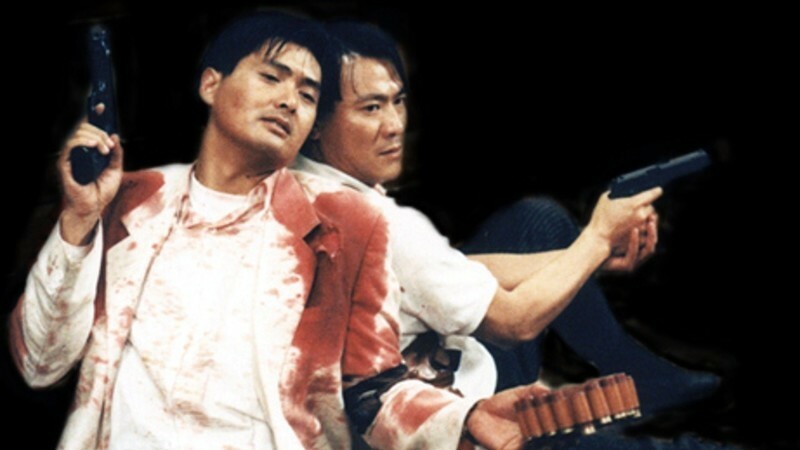 First up: John Woo's "The Killer." The Vancouver International Film Festival is now underway: 300+ films in 16 days (September 28 - October 13). Be sure to check out dispatches from the fest from David Bordwell and Kristin Thompson on their new blog! From David's initial VIFF entry: The festival is particularly strong in Asian cinema, programmed by the indefatigible Tony Rayns; the festival also gives the “Dragons and Tigers��? prize to young Asian filmmakers. It was while serving on that jury last year that I came to fall in love with this festival. There are over 40 Asian programs this time, including Ann Hui’s "My Postmodern Aunt" (starring Chow Yun-fat), Tsai Ming-liang’s "I Don’t Want to Sleep Alone," and Hirokazu Kore-eda’s "Hana" (his last film was the very touching "Nobody Knows"). A special treat is Bong Joon-ho’s "The Host," already a cult monster movie that has Hollywood studios fighting for the remake rights. Vancouver is also very strong in Canadian cinema, as well as documentary, experimental, and international work. Like all great festivals, it’s actually several festivals in one: No way you could see everything you want to see. It was so exciting last year that I determined to return and try to see even more new films. Festivals are important to us film lovers, because you want to keep up with creative work being done all over the world. Living in the US makes it hard, because so many wonderful films–sometimes masterpieces–don’t get released theatrically. Marketing a film in a country as large as the US requires massive amounts of money, and many interesting films just won’t attract a big enough audience to pay back costs. Also, I’m afraid that some Americans are narrowing their tastes in movies, so that they won’t give a “foreign film��? or a “little movie��? a chance. Festivals exist to do just that. TORONTO -- Films set in imperial China, the American South and Iceland won the most important awards here Sunday, as the 25th Toronto Film Festival came to a close. The festival has no jury and is officially non-competitive, yet it managed to honor a dozen films at its closing brunch. There were lots of ties.